يوفر فندق Airlie Beach Motor Lodge ظروف إقامة راقية وهو خيار رائج للسياح ولرجال الأعمال أيضاً. يقع في منطقة الحياة الليلية, سياحة, شواطئ من Whitsunday Islands. يقع مركز المدينة المثير على بعد 0.2 km فقط. كما يمكن الوصول بسهولة إلى Abel Port Marina, ابيل بوينت مارينا, Whitsunday Doctors Service. 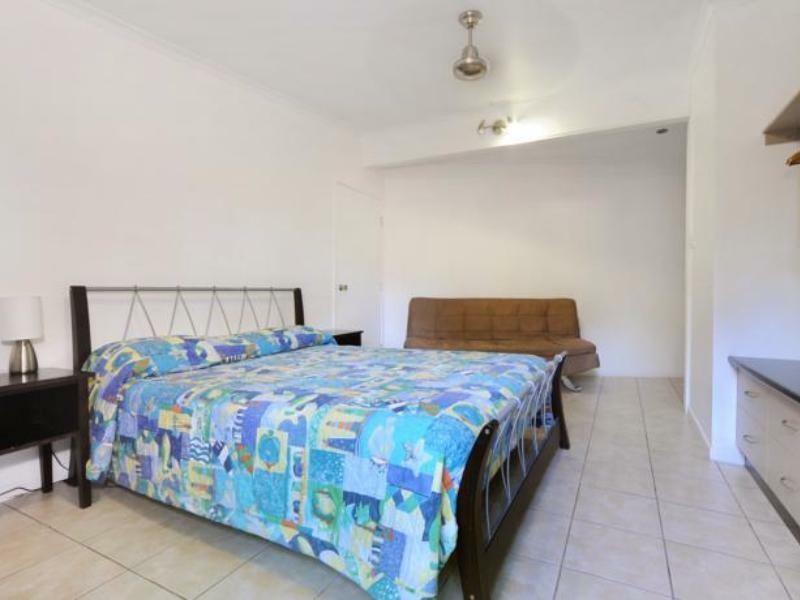 يعمل Airlie Beach Motor Lodge على ضمان إقامة مريحة لضيوفه من خلال خدماته الممتازة وحسن ضيافته. هذه بعض الخدمات الموجودة في هذا الفندق: واي فاي مجاني في جميع الغرف, خدمة التنظيف يوميًا, خدمة غسيل ذاتية, مجهز لذوي الإحتياجات الخاصة, مرافق مخصصة لذوي الاحتياجات الخاصة. لقد جهزت هذه الإقامة الفندقية بعناية فائقة لتوفر مستوى عالي من الراحة. في بعض الغرف يجد النزيل تلفزيون بشاشة مسطحة, اتصال لاسلكي بشبكة الإنترنت (مجاني), غرف لغير المدخنين, مكيف هواء, تدفئة. صممت خدمات الاستجمام في الفندق والتي تتضمن ساونا, حمام سباحة خارجي, بلياردو, حديقة لمساعدتك على الاسترخاء والراحة. 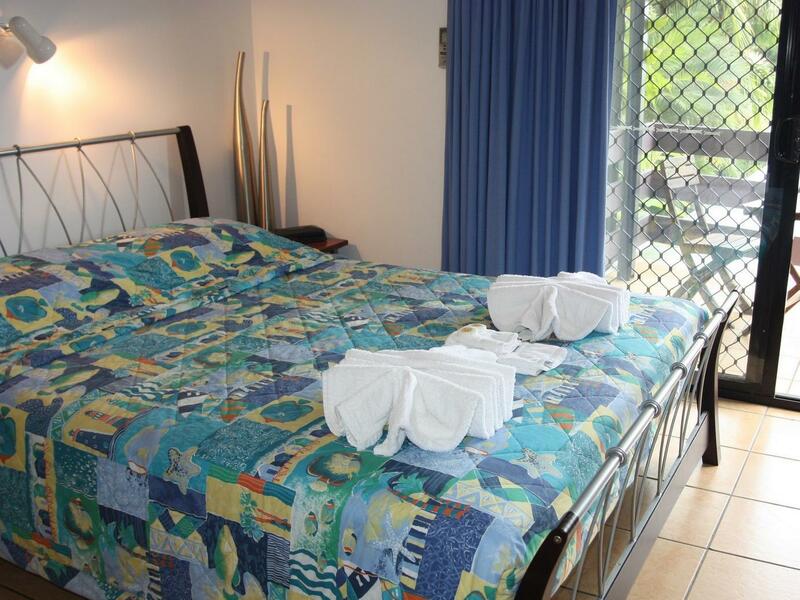 مهما كانت دواعي سفرك فإن Airlie Beach Motor Lodge هو خيار ممتاز لإقامتك في Whitsunday Islands. Nice place to relax, not on the busy backpacker street. Staff let us check in early, room was already cleaned. Lovely balcony, room is clean, good bed. Nice pool, but didn't use it as Airlie has the lagoon in town. To explore the area you will need a car. We just stayed overnight before the whitsundays trip. Lodge is on a hill though, so when having dificulties walking, maybe not your best option. Even though it is pet friendly, it was very disconcerting that dogs were locked in apartments for hours howling and barking . At my age I found the approach a little steep but otherwise fantastic. 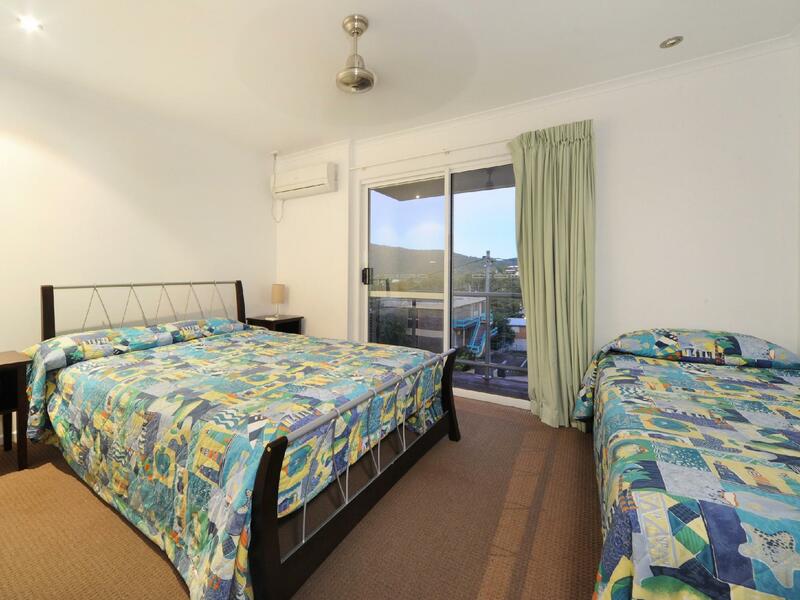 I liked it, very nice room with kitchen very big with balcony nice view, close to shop and bus, tv is small not many channels,, weak internet, top shower, wish we had better wifi..
We really enjoyed our stay at Airlie Beach Motor Lodge, the owners were great and it is in a good spot. 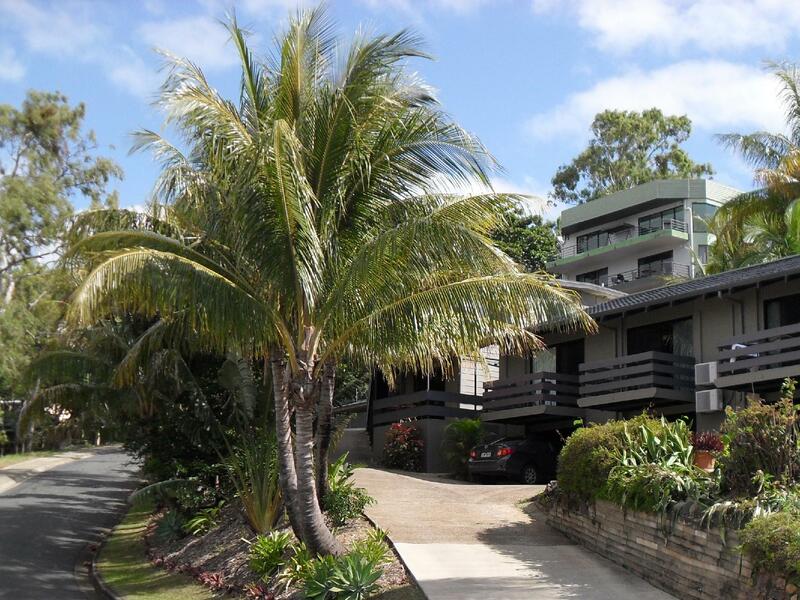 Close to the main area of the Airlie Beach. There is a pool and bbqs if you want to cook for yourself. Good value for money. If you are looking for basic accomodation that is close to everything, this is it. 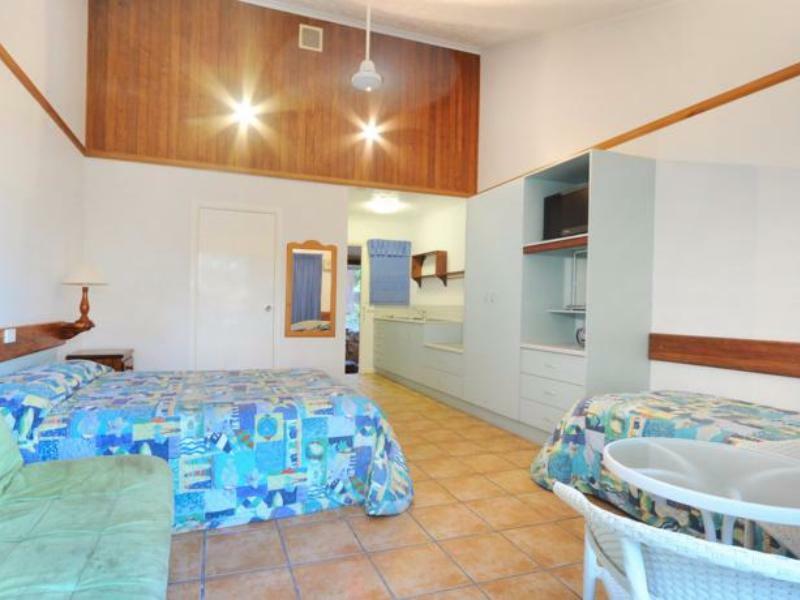 walking distance from town centre of Airlie beach. Staff and owner are very kind and helpful. A bit hard to find the main light switch in my room on August 10th. (it turned up behind a curtain). Room had a pleasant private leafy outlook and had a little childproof balcony with a gate, which would have suited a couple with a young child. Room a little small, but really clean and well equipped. Lovely pool area and friendly staff. i was really happy here,we actually were early and even at 11am was gi9ven a room instead of waiting to 2pm,staff was helpful and very nice.good large clean room,nice bed and close to walking distance to food shops etc. I originally booked 2 nights and arrived late the first night. They still attended my call as it was raining heavily and I needed a cab. The next day, they booked me on a cruise (which was awesome) the same day and allowed me to stay my second night after the cruise. I have not tried any food or the pool, but everything else was perfect. WIFI in the room would be nice. Reasonable room, quite small did not like open plan prefer bathroom to be a room and not a sectioned off area with saloon type doors.